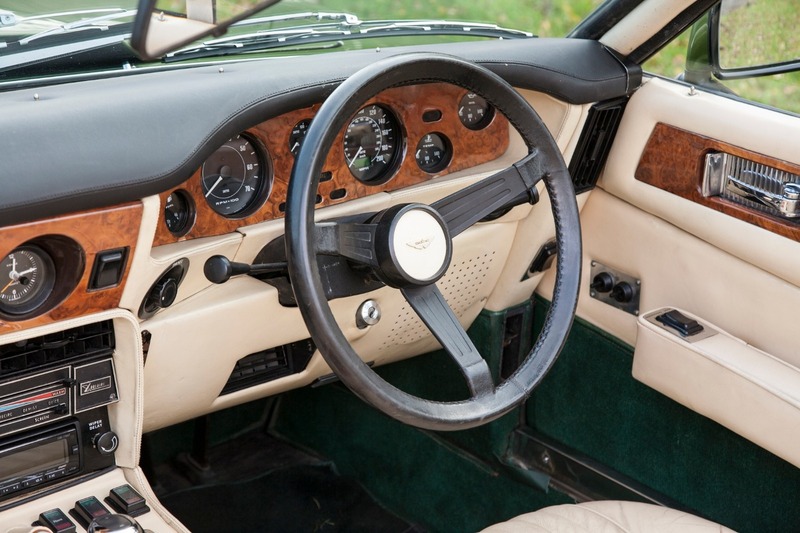 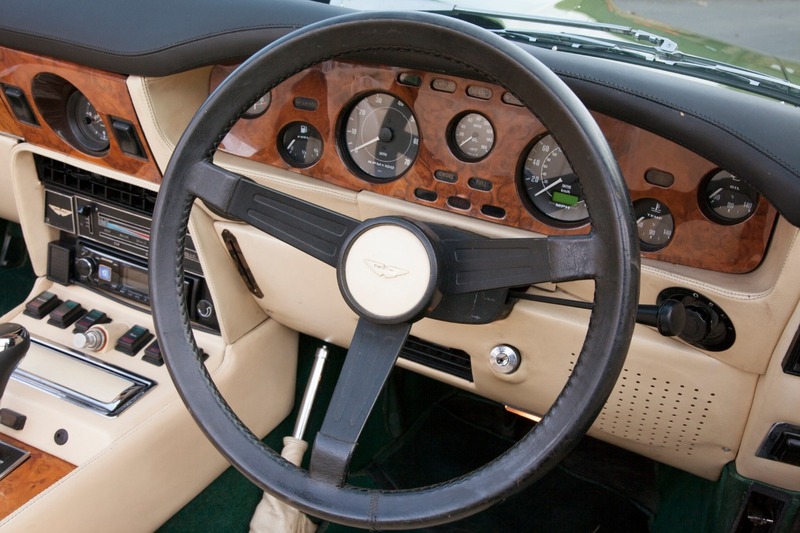 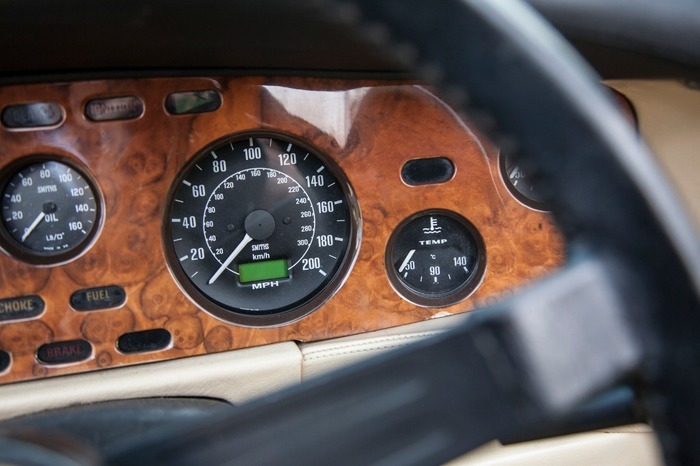 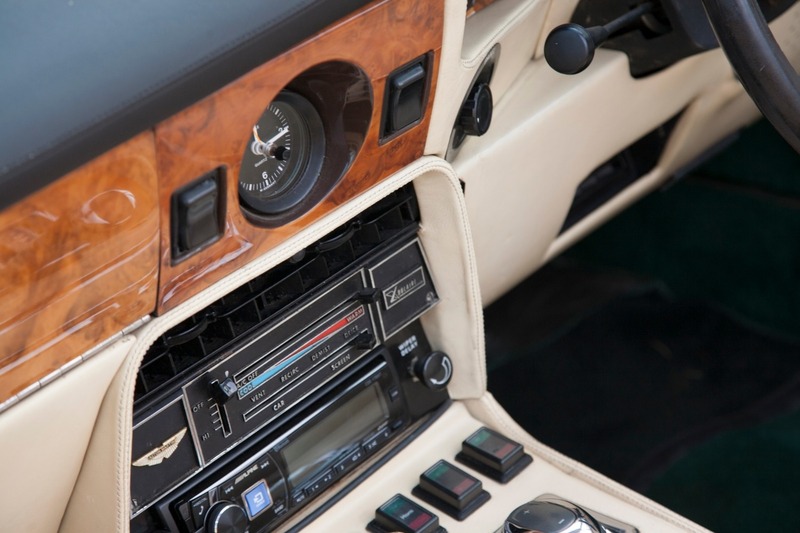 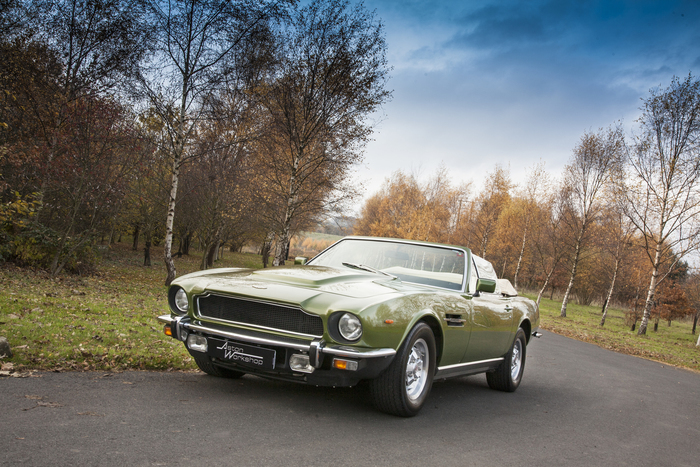 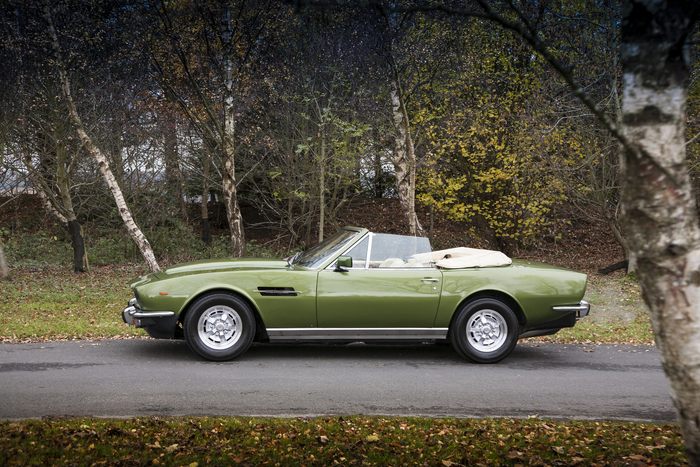 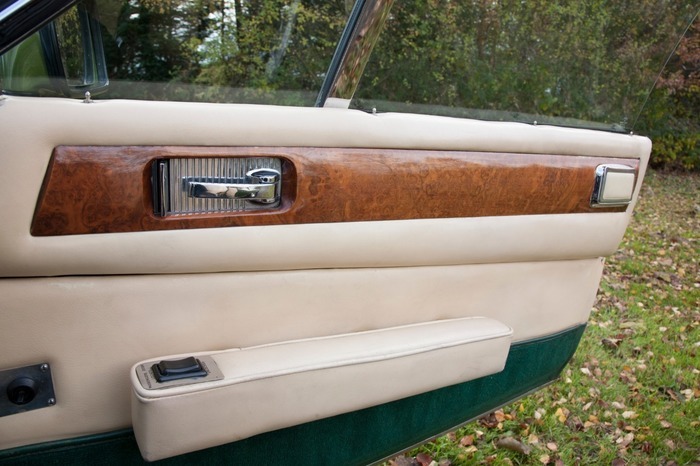 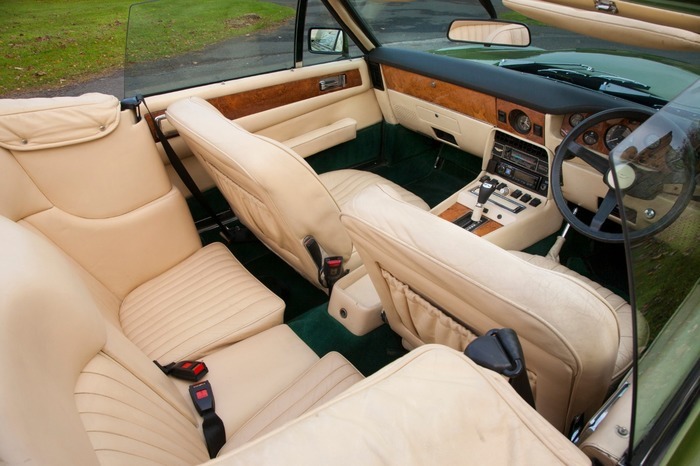 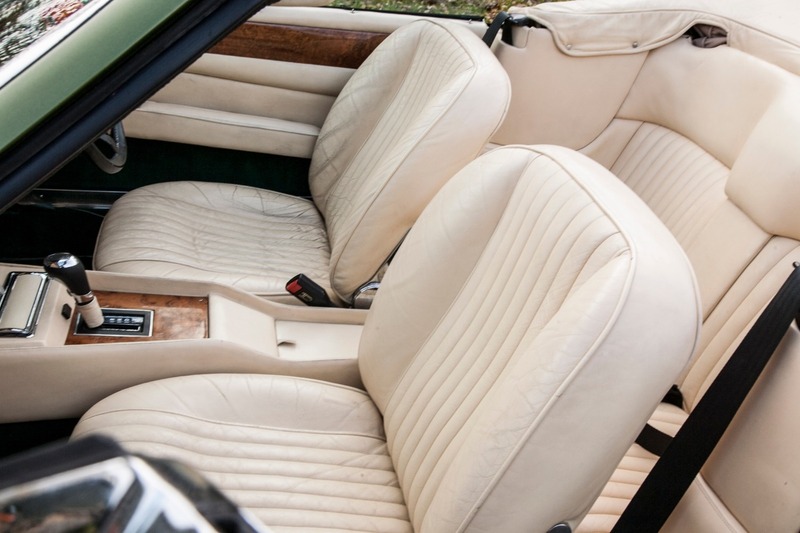 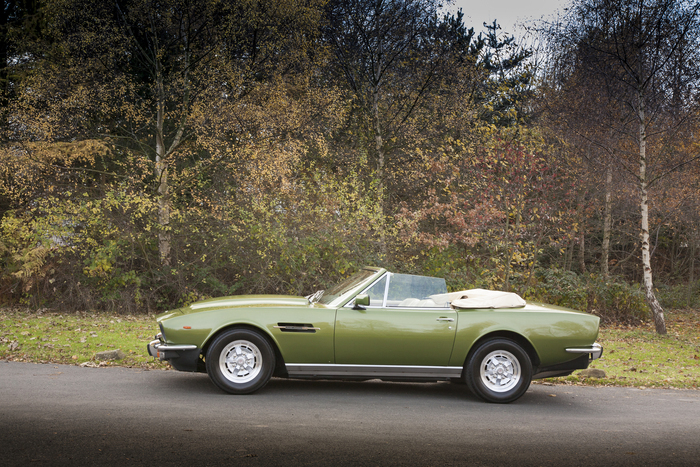 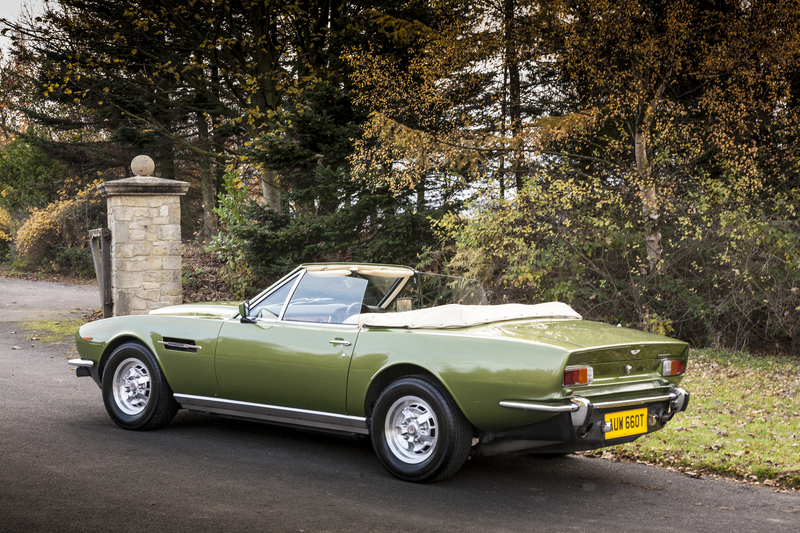 We are delighted to offer for sale this striking 1979 Aston Martin V8 Volante Automatic. 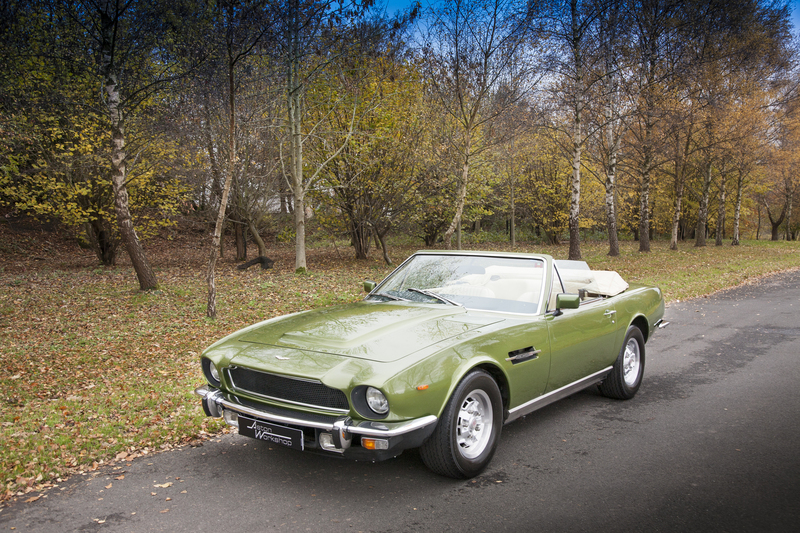 This beautiful example is presented in factory colours of Orchard Green metallic exterior with a Magnolia Leather interior with matching vinyl hood. 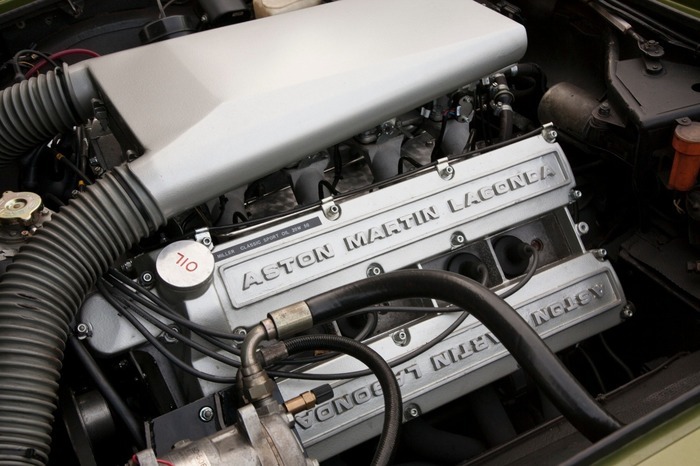 Complete engine rebuild to 6 litre specification with fuel injection. 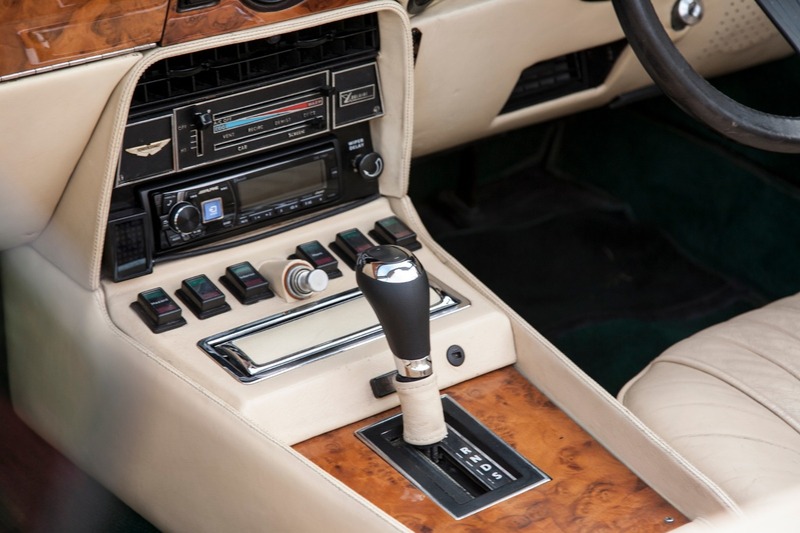 6 speed automatic “Touchtronic” gearbox. 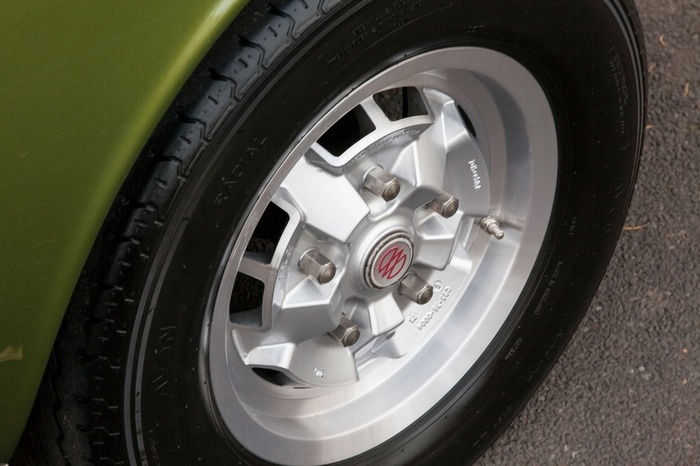 Brakes completely overhauled with fast road pads. 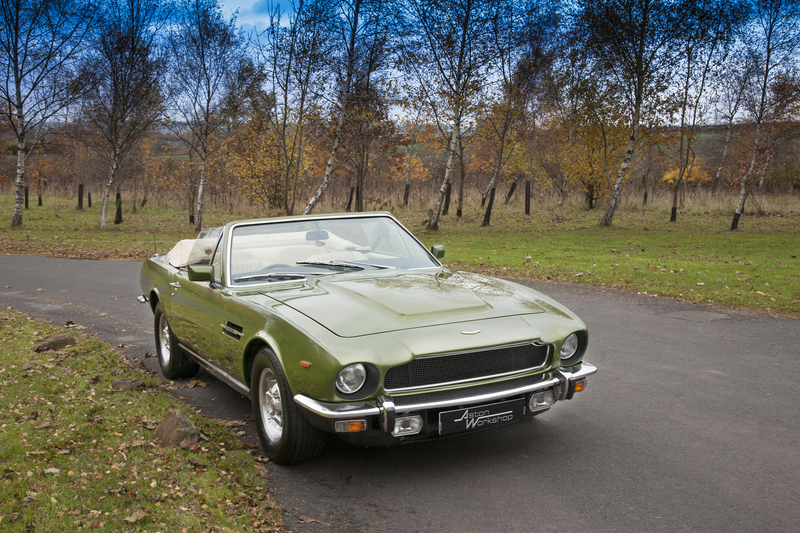 New suspension bushes, bearings and shock absorbers to front and rear. 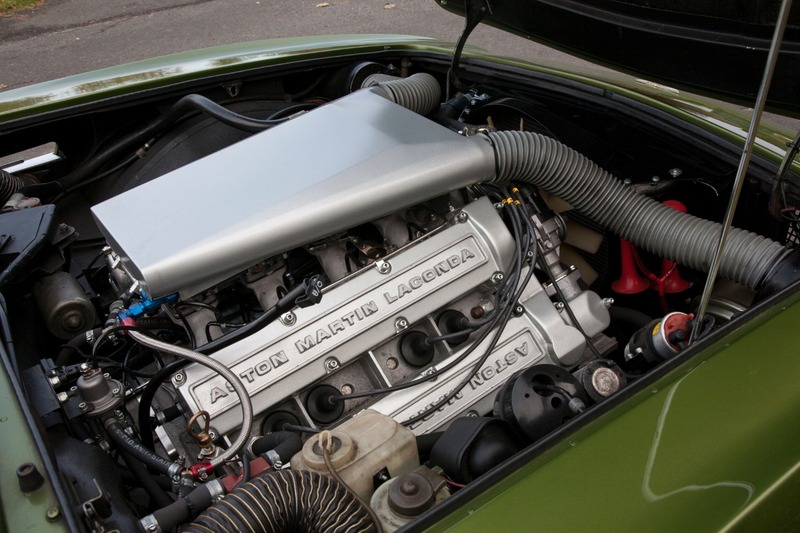 Differential cradle strengthened to suit power increase, this also included the differential being fully rebuilt. Full chassis inspection and repairs carried out where required. All of the work detailed above is accounted for in a comprehensive document folder of invoices. 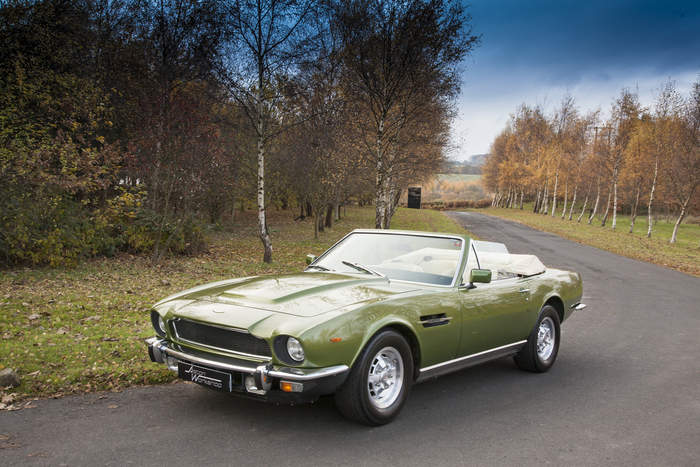 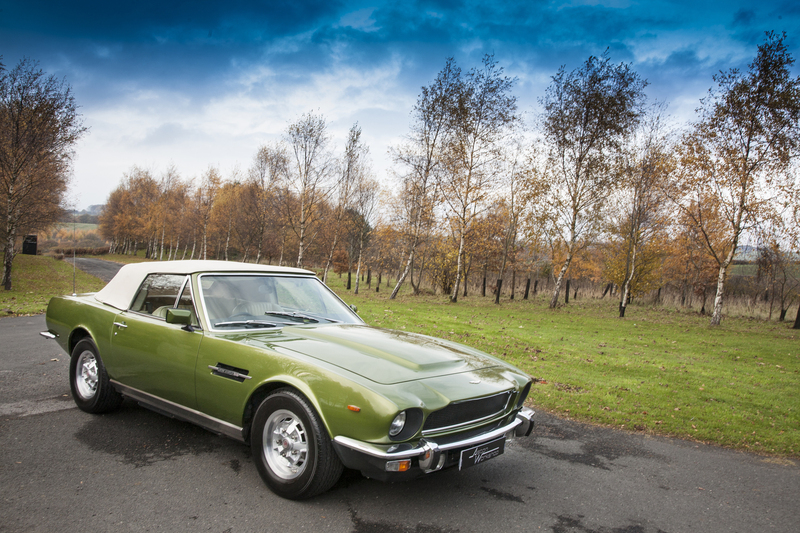 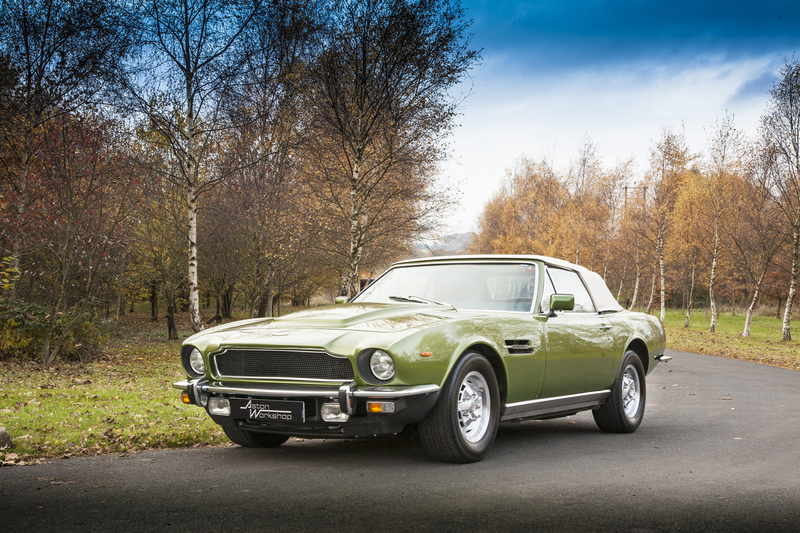 This Aston Martin is a phenomenal classic to drive and having covered 76,000 miles is ready to be enjoyed.